The central Florida heat is tough on HVAC equipment. Your air conditioning can run from May through October with very few breaks. That means you’re paying a lot of money in energy costs, so when it comes time to replace your HVAC equipment, make sure you consult the Energy Guide label before you buy. Which products carry the Energy Guide label…and why? Federal law requires that all refrigerators, freezers, water heaters, clothes washers and HVAC equipment carry an Energy Guide label to let the buyer know how much energy a product will use. It also compares the approximate cost of using said product to other models with similar features. Clothes dryers, kitchen ranges and microwave ovens do not require an Energy Guide label since there is little difference in the energy consumption of the various models. If you understand the Energy Guide label, it can reduce your energy costs significantly. The upper portion of the Energy Guide label contains all relevant information about the manufacturer’s name, model number, appliance category and capacity. It also lists the important features of the equipment to compare with other models. In the center of the label is a large, bold number which tells the consumer the average cost of operating the model for one year based on the average cost of energy (updated every five years). Just below the cost figure is a chart comparing the model’s energy consumption with similar models. Under the cost chart is the unit’s estimated annual electricity consumption. 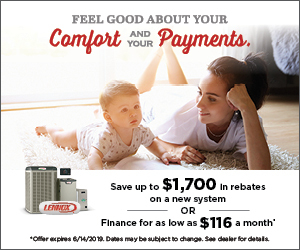 When comparing two models of HVAC equipment, this number can be used to determine if the lower priced unit will save money in the long run or not. When it’s time to replace your HVAC equipment, be sure to consult the Energy Guide label. The information contained there will help you choose the right equipment for your budget at the cash register and over the long term. For more information about the Energy Guide label, contact the experts at Rinaldi’s Air Conditioning. We’ve been serving the Orlando area since 1969. Our goal is to help educate our customers about energy and home comfort issues (specific to HVAC systems). For more information about the energy guide label and other HVAC topics, download our free Home Comfort Resource guide.